Without a doubt the best way to experience anything if possible is of course to do it as a VIP. Not only do VIPs get to parade around being called VIPs (which is fun just on its own) but they also get, in this case at the Universal Orlando Resort, early access to the park, get bumped to the front of the line of all of the rides, get access to places in the theme park that other regular park goers can’t get to and also learn all kinds of secrets and fun information about the place. 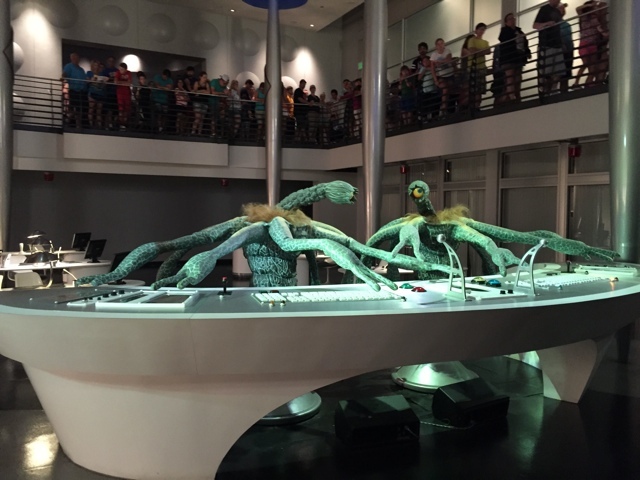 In September I was invited to visit the Universal Orlando Resort for my very first time. Initially I was there to experience the scariness that is Halloween Horror Nights that you can read about HERE, but I was also there to experience the regular rides and happenings at the theme park as well. Let me tell you, that experiencing Universal for the first time ever and doing it as a VIP was an amazing experience and one that made me jaded and now not wanting to visit another theme park any other way from here on out. I’ve been spoiled. 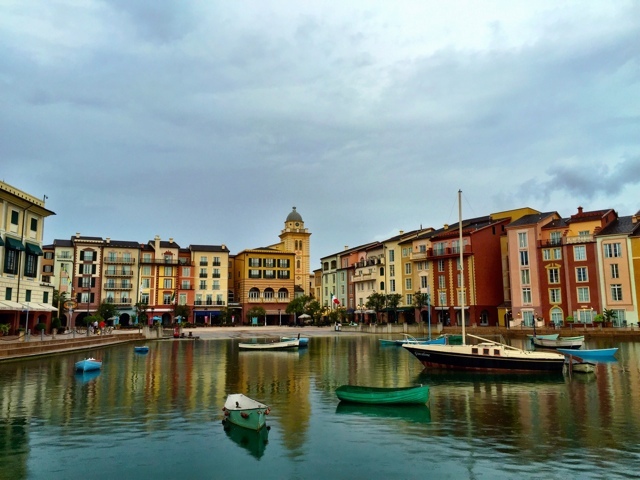 The Loews Portofino Bay Hotel looks like a small Italian town on the sea! Staying on property at the Loews Portofino Bay Hotel meant that we had access to the park a whole hour before the rest of the public, which is perfect especially if you are itching to see the Wizarding World of Harry Potter and go on those rides because those areas always seemed to be the busiest. Our day started with our group meeting our guide and telling him the things that we were most interested in seeing in the park. Pretty much everything. 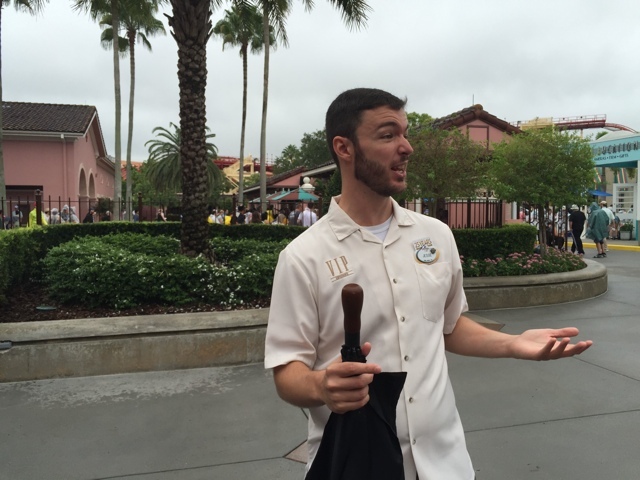 However he tailored the tour as best as possible to what we wanted to see and what kind of rides that we liked. Not all of us (including myself) were up for the huge roller coasters however conveniently not only did the group get to jump to the front of the line for them, so we didn’t have a long wait, but there were also waiting spots for us non-thrill seekers. The waiting spots are also known as Child Swap and their main intention is for parents visiting with kids who want to ride the rides when their kids can’t, so one rides while one stays with the kids, then they swap without having to wait in line again so the other can ride as well. Very convenient. Since we had a guide we were able to get everywhere quite quickly as he knew where to go and secret shortcuts. 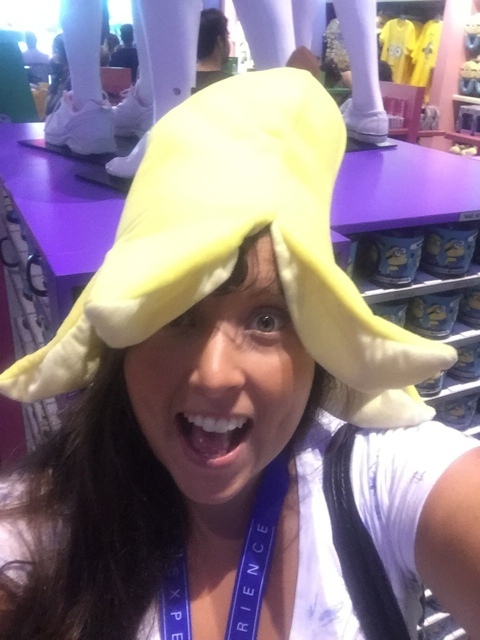 First stop was the Universal Studios side of the park with the Minions ride (banana), although hilarious I found this one a bit too rough for me. Next was the Hollywood Rip Ride Rocket (aka huge roller coaster), then we went on to Revenge of the Mummy ride, which I highly recommend especially if you don’t like typical roller coasters. This ride is also inside and in the dark so that makes it somehow not as scary. Trust me on this. From there we went onto the Transformers: The ride 3-D where we helped Optimus Prime save the world, and then finally onto Diagon Alley. 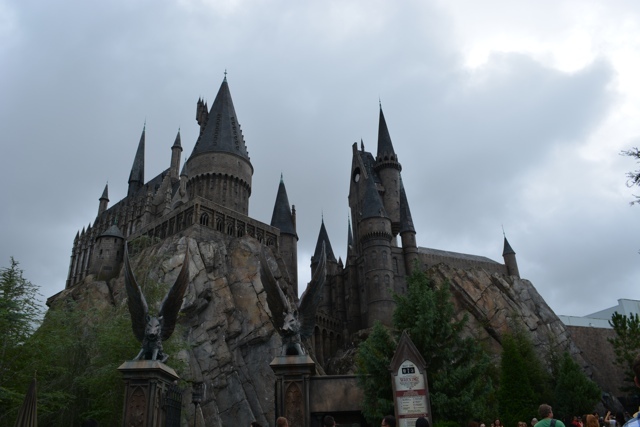 It is indescribable how freaking cool The Wizarding World of Harry Potter actually is. Even if you aren’t a fan of the films it is still pretty awesome. 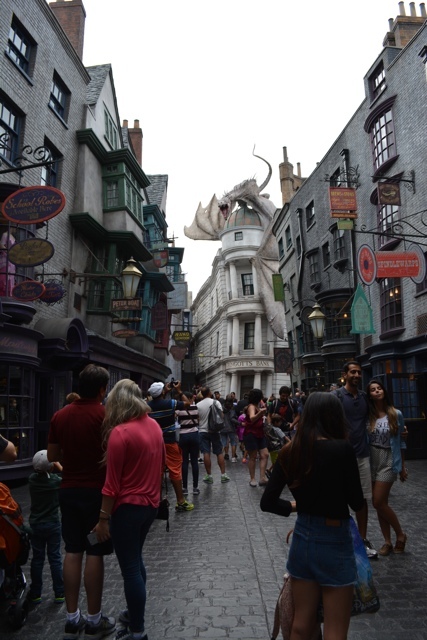 Diagon Alley is the wizarding world shopping street in London and here you can purchase a wand at Olivander’s, go to the Weazley’s Candy shop, pick up your very own Hedwing and so much more. We were on a mission however and headed straight for the Harry Potter and the Escape from Gringotts ride. We were on a mission actually for most of the day and many things we breezed by as there were so many other things that we wanted to see and do. Because of that I recommend that if you take the VIP tour as well, definitely book at least 1 or 2 other days at the park on a regular ticket to go back to spend more time and experience everything more in greater detail. At this time in the morning there wasn’t much of a wait for the ride yet, but we skipped to the front anyway. Sometimes however the wait for this line can be up to 2 hours long so go there knowing that that could happen. This ride was so cool that we actually rode it twice and you get to walk through Gringotts Bank to get to it with goblins and all! 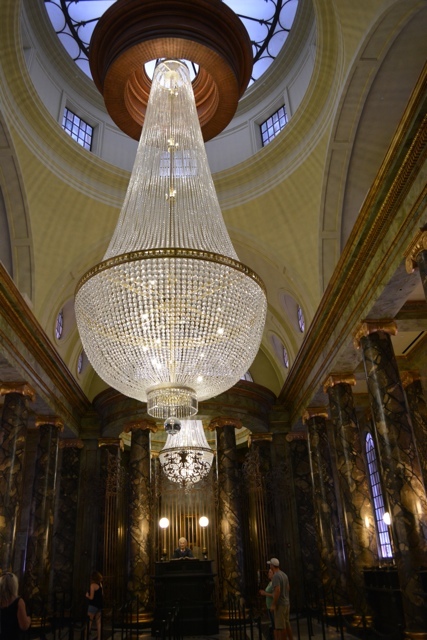 After our adventure through Gringotts we conveniently had lunch organized for the group at one of the restaurants nearby on the property called Lombard’s Seafood Grille. Since it was a sit down restaurant it took a bit more time to sit down, and order but if you are in more of a rush to see everything there are lots of other options for food on the go. One of my favourites being Cletus’ Chicken Shack from the Simpsons or even a classic Krusty Burger. Before we headed over to the Islands of Adventure part of the park we headed for one last ride. MIB. Men in Black. It was like I was back in grade seven all over again! Since we were VIP a really cool part of this ride was that we got to go down onto the main floor with Idikiukup and Bob while all of the other guests could only look down on them from above. This was definitely a ride that I would do a couple of times because it was interactive and you got to shoot aliens while you spun around like crazy. Fun! Next to get to the Islands of Adventure Park we could have exited Universal Studios and walked across the City Walk to the entrance but instead we opted for one of the coolest experiences in all of Universal Orlando. 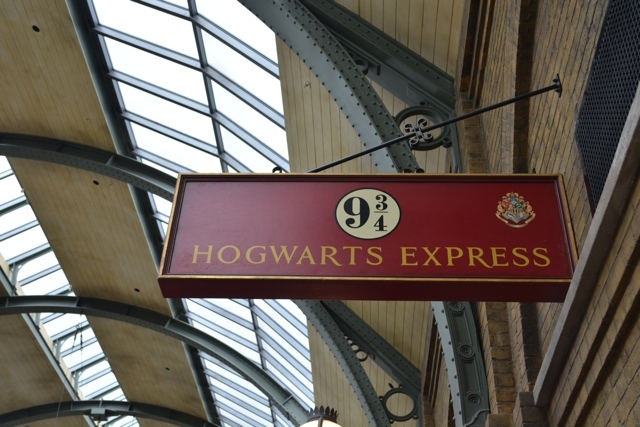 We entered London’s famous Kings Cross Station, walked through a wall to platform 9 3/4 and we took the Hogwarts Express to Hogsmeade! 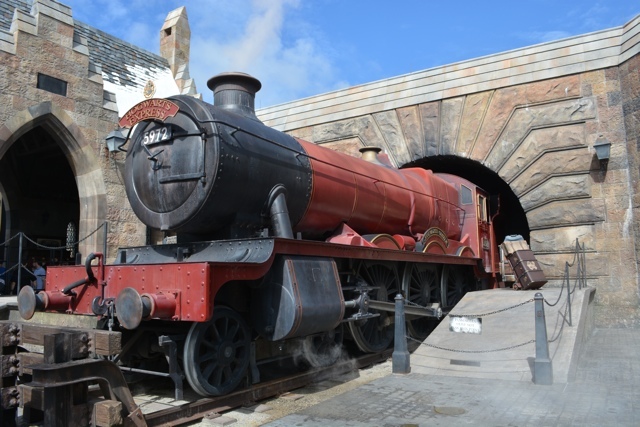 Riding the Hogwarts Express was a really cool experience. The windows appear like you are actually traveling through London, then the British country side headed to Hogwarts with all kinds of action happening on the outside and inside the train as you go. I won’t give away too much about it though, you just have to experience it for yourself, just watch out for the dementors. Arriving in Hogsmeade there was so much to see and do just like in Diagon Alley and at the end of the road it leads you to Hogwarts high up on a hill. Here we jumped on the ride Harry Potter and the Forbidden Journey. We were locked in tight and spun all around up and down while playing a role in the story line with the characters from the film. Really fun, but not for the easily queasy because of all of the movement. After the ride we headed to the Hog’s Head Pub for what I had been dying to try, Butter Beer. You can actually try it two different ways either 1) chilled with bubbles or 2) more like a slushy. The slushy won for me, it was much easier to drink and take in the over powering butterscotch taste. Note to self don’t try to drink one of these on the run. Give yourself time to digest and enjoy it. 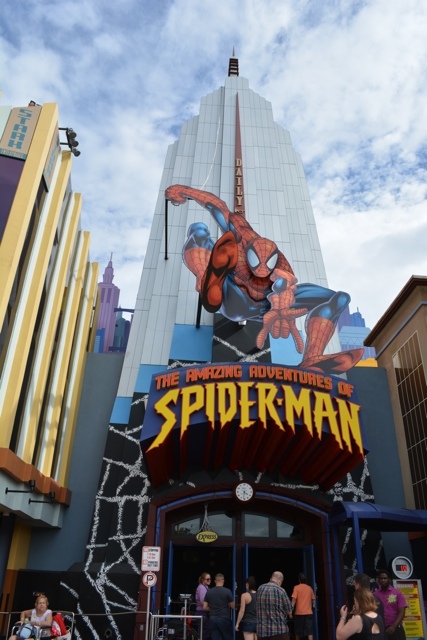 After we explored Hogsmeade and the thrill seekers rode the Dragon Challenge Roller Coaster we strolled through Seuss Landing and stopped in the Marvel Super Hero Island to ride the Amazing Adventures of Sprider-man ride. This ride was old school Spider-man and part of its thrill was seeing how many times you could spot Stan Lee throughout the ride. (I think I counted 11). 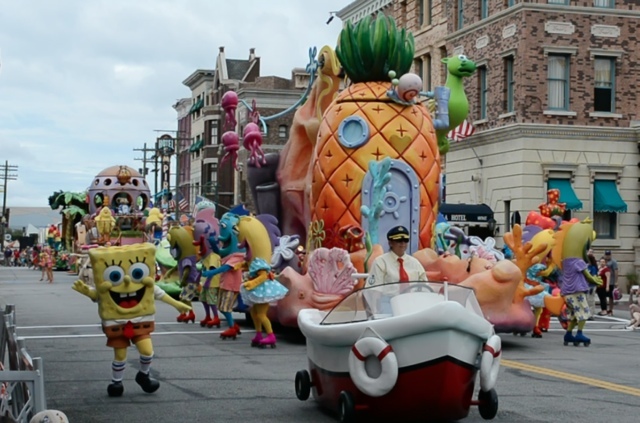 The final part of our tour was seeing the Universal Superstar Parade with the characters from the Minions, Sponge Bob Square Pants, Dora the Explorer and more. And/or we got caught in the middle of it. 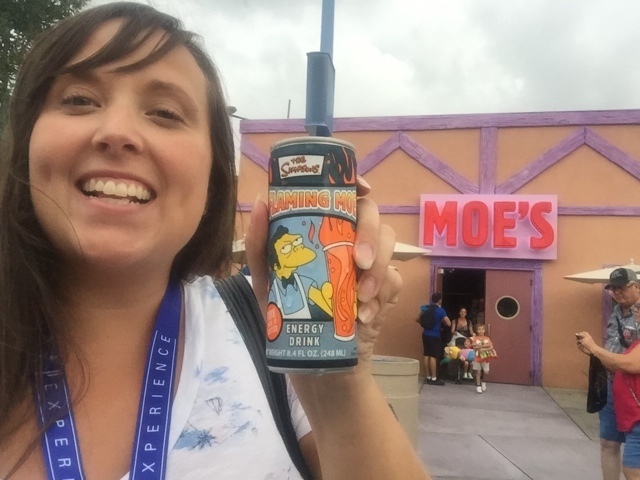 Drinking a Flaming Moe energy drink at Moe’s! We then had the rest of the day for ourselves as our guide left us. Bonus however was the fact that our VIP passes still worked so we were able to then go re-do rides we had already done or do new ones and still be able to get to the front of the line right away. My sister and I had two major stops on our mind that we hadn’t gotten to experience yet, first up was the Simpsons Land part of the park. 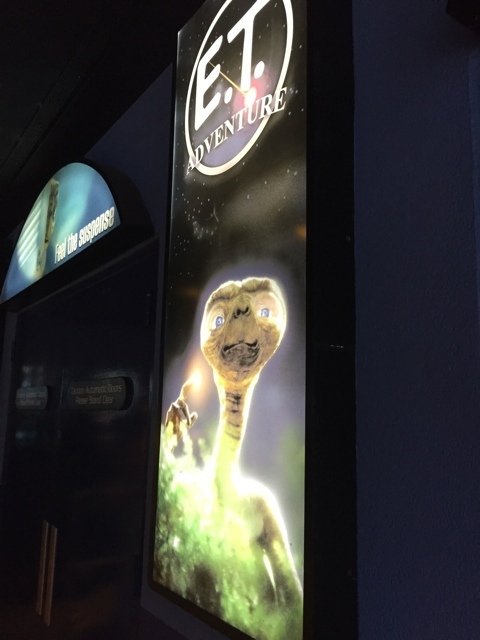 The last ride of the day for us was the E.T. Adventure. Sadly the Back to the Future ride is no longer but they have still kept this outdated gem of a ride. Fingers crossed that they keep it forever and never change it. I will tell you that riding with E.T. on a bicycle back to his home planet to help save it was quite the thrilling ride. The VIP tour of the two parks were quite a whirlwind of a tour but like I said before definitely give yourself another day or two to also take them in at a slower pace. 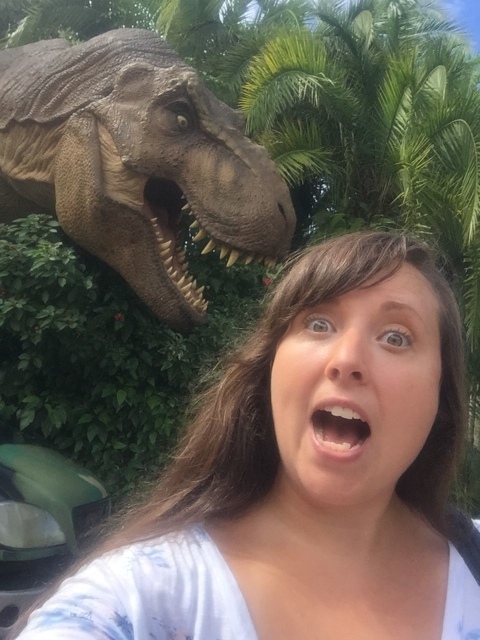 I also I highly recommend heading over to the Jurassic Park for the velociraptor raptor experience for one of the best selfies. 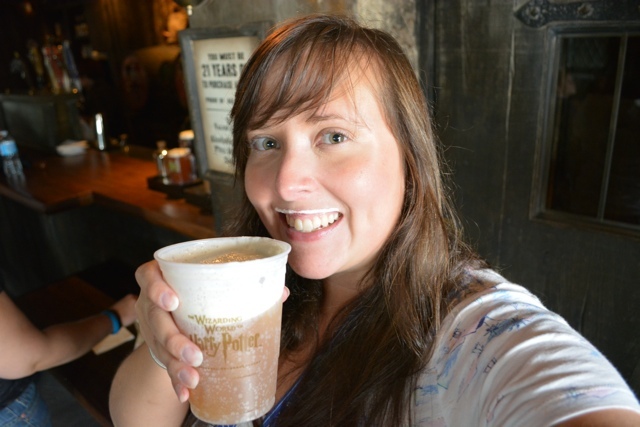 Go to the Hog’s Head Pub for butter beer. The line tends to be shorter than at the butter beer carts. Ride escape from Gringots twice – once at the front and once at the back for a completely different experience. 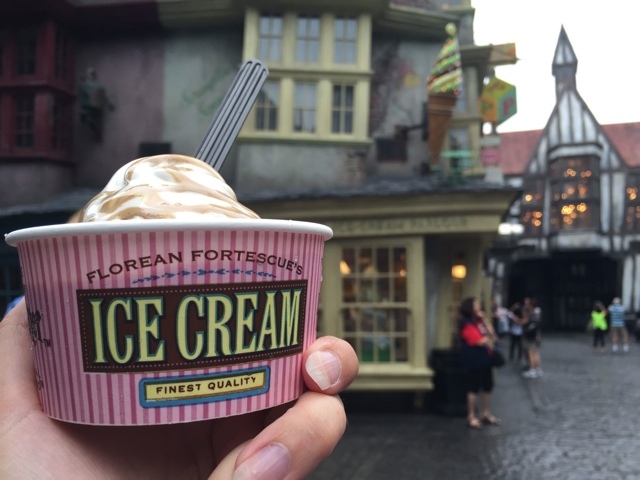 Get butter beer ice cream at Florian Fortescue’s Ice Cream Parlour in Diagon Alley. Also try the chilli chocolate ice cream which is really, really good. By each attraction there are gift shops but also at the exit there is a large gift shop with almost everything, so if you are wanting to buy something wait until you are leaving so that you don’t have to carry it around all day. If you are looking for more food options there are tons of restaurants and places to shop in the city walk between Universal Studios and the Islands of Adventure. The City Walk is also a great place to nightlife after a long day of fun in the park. Here you can find the Hard Rock Cafe, Margaritaville, Emeril’s, Bubba Gump Shrimp and so much more. Special thanks to Universal for inviting me for this experience. As always all opinions and views expressed are my own. 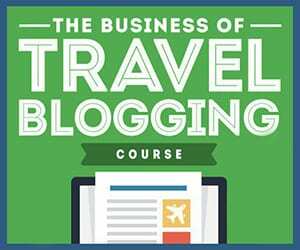 No travel bloggers were attacked by Dinosaurs or evil wizards in the making of this post. 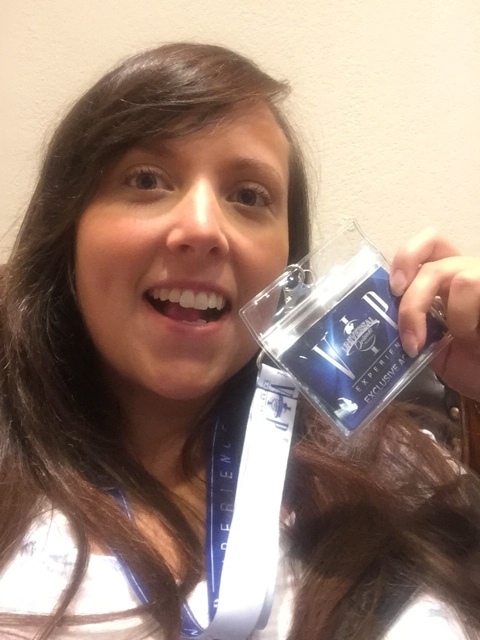 VIP is the way to go if you have the money to spare … love the idea of skipping past super long lines! We enjoyed our recent stay at Portofino Bay and 2 full days in these parks. The Harry Potter areas are really well done. One thing that’s handy for those staying more than a day is hotel delivery of anything bought in the park. They need time to get it to you, but it saves carrying things around all day. As well as the cold Butterbeer, there is also a *hot* version that I really enjoyed. Either way, my wife is now addicted to the stuff! Awesome! I don’t think I knew about the gift delivery or the hot butter beer! Thanks for the tip!